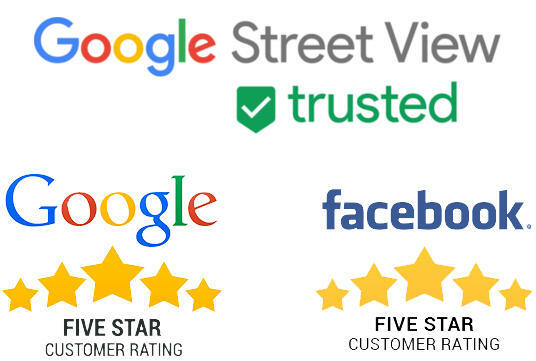 We record and publish Street View 360° panorama imagery on Google to ensure your business is visually accurate and customers can easily locate your front door. Street View is the massively popular Google Maps technology where people can explore full 360° panoramic views along streets around the world. 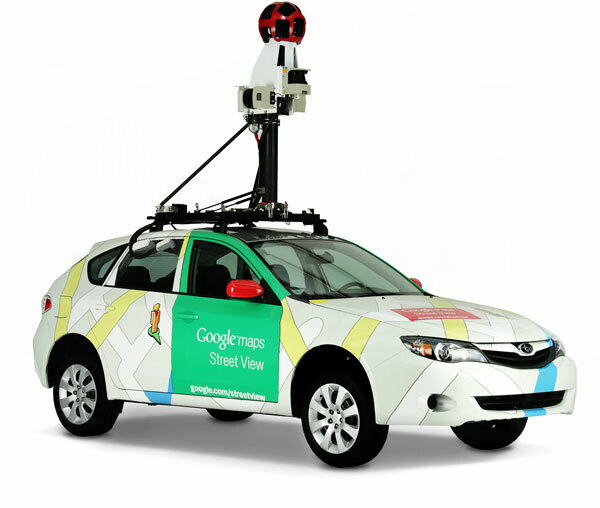 The panoramic images were originally recorded by the famous Google Street View Cars. Mythos Media has been officially certified by Google to create and publish new panorama content on Street View and to replace existing imagery that can be up to ten years out of date! Google Maps displays the locations where Street View is available with blue lines. The map of Marietta is an example of where Street View panoramas can be explored. Slide the bar right-to-left to see where Street View is available. Street View content uses precise GPS coordinates and is used for outdoor panoramas. Is Your Business Accurately Displayed On Street View? Here are a few common issues that Mythos Media can resolve and ultimately enhance your business presence. This commercial property only contains a small incomplete line that was recorded in 2015. The white buildings contain retail suites and the four outer buildings are two floor professional offices. The Street View car only recorded the front of a single building and the majority of the property has never been published on Street View. We can provide complete Street View coverage of your entire property. The Street View imagery at this retirement community only shows empty fields before construction began in 2008. The main road was then shortened to end at the main building. A very small section at the entrance displays several incomplete homes under construction in 2017. Now that the facility is open to the public, several Street View issues are negatively impacting the online presence of the retirement community. Street View displays outdated imagery, areas that no longer exist, none of the roads encircling the facility are visible, and the Google My Business listing displays an empty field instead of the new buildings. We can ensure your Street View panorama imagery are current and accurate for the entire property. All Google Business listings contain a very prominent Street View button, displayed on the sidebar under Photos. When selected, the user is transported to the default “starting point” in Street View that is linked to the business. The dentist office on this map has an incorrect street view on their business listing. Users are transported outside the commercial property to the residential road to the east where a line of trees completely hides the dentist office building. 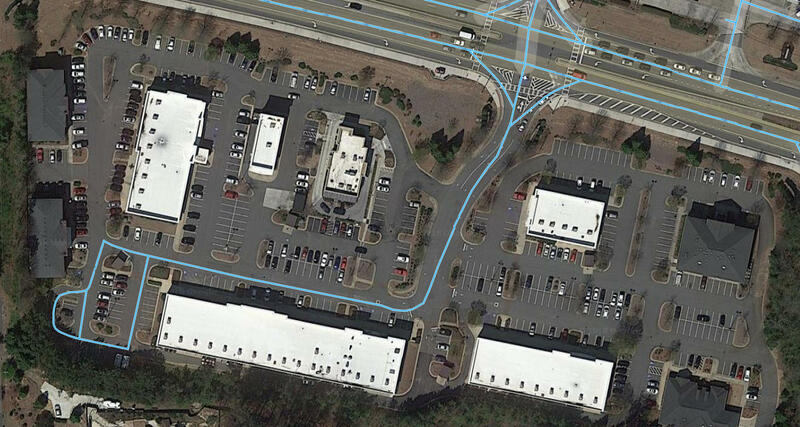 The closest blue line inside the property is too far away to even see the dentist office. Here is an example of our Street View publishing that has enhanced a local business in Marietta. 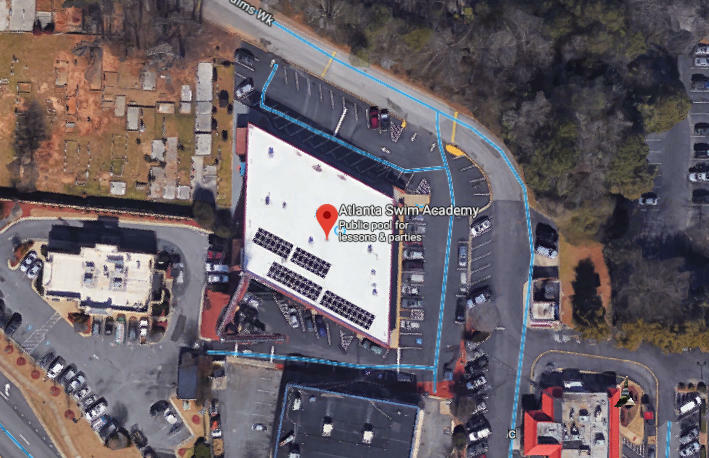 The Atlanta Swim Academy in Marietta is located behind multiple buildings and is not very visible from the main roads. The closest blue line runs behind the facility between parking lots. The original imagery was recorded in July 2008 and there is no view from inside the facility parking lot in front of the swim academy. See how Atlanta Swim Academy enhanced their business with new Street View imagery and added a complete virtual tour of the interior of the facility. We start with a free on-site consultation to discuss your project and answer questions. We will provide you with a service estimate based on the length the video recording distances and any custom enhancements you wish to use. We then schedule the on-site visit and shoot all of Street View video for your project. Most locations take less than an hour to complete. Your new Street View content is then published straight to Google and will be visible to the public within a few days. 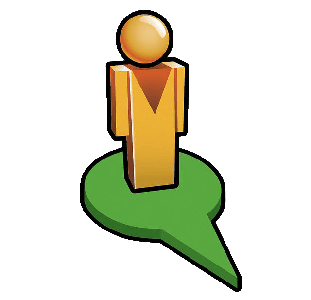 Have questions about how your business works with Street View? Visit our FAQ page for more details or contact us directly!